The Miami Marlins take on the Washington Nationals on Sunday at Nationals Park. The probable starters are Brad Hand for the Marlins and Stephen Strasburg for the Nationals. The opening line for this matchup has Miami at +237 and Washington at -260. The over/under was set at 7. The Marlins, with a 61-68 run line record, cover the spread 47% of the time. They also have a 61-61 over/under record. The Nationals have a 66-55 over/under record and a 55-72 run line mark, which means they are covering the spread 43% of the time. The Marlins show up with a 52-77 record, including 22-41 on the road. Brad Hand has an earned run average of 4.23 and is 4-3 so far on the season while having a 1.28 WHIP. The Marlins are 4-4 over his 76.2 innings pitched and he's also given up 82 hits over that time period. Their record against the over/under when he starts is 3-5. The team is averaging 3.9 runs when he starts. The bullpen has given up 362 hits on the season and have an earned run average of 3.51. Teams are hitting .236 against the bullpen while being struck out 402 times and walking 151 times this season. As a team, Miami has allowed 8.66 hits per nine innings while striking out 7.29 batters per nine. They are 18th in the league in team earned run average at 3.98. Miami is batting .253 as a team, which is good for 12th in the league and hitting .254 away from home. The Marlins on-base percentage sits at .306, which puts them at 24th in the league and they have a team slugging percentage of .374. They rank 17th in baseball with 8.53 hits per game and Dee Gordon leads the team with 158. Washington is 35-26 at home while holding a 64-63 overall record on the season. Stephen Strasburg is starting this game 8-6 for the season with an earned run average of 4.14 and a WHIP of 1.24. The Nationals have a record of 9-8 over the 87 innings he's pitched during which he's given up 87 hits. Their record against the over/under when he starts is 9-8. The team is averaging 4.5 runs when he takes the field. The bullpen has given up 343 hits on the season and have a team earned run average of 3.56. Teams are hitting .245 against the Nationals bullpen while being struck out 335 times and walking 107 times this season. As a team, Washington has allowed 8.89 hits per nine innings while striking out 8.24 batters per nine. They are 11th in the league in team earned run average at 3.75. They are batting .249 as a team, which is good for 22nd in the league and hitting .249 at home. The Nationals on-base percentage sits at .318, which puts them at 14th in the league and they have a team slugging percentage of .397. 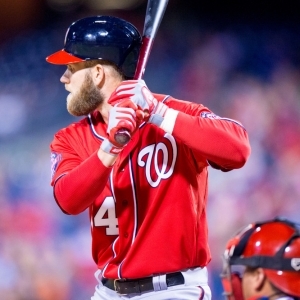 They rank 24th in baseball with 8.32 hits per game and Bryce Harper leads the team with 138. In terms of team defense, the Marlins have a fielding percentage of .986 with 67 total errors, 1,263 assists and 3,403 put outs. For the home team, they hold a .984 team fielding percentage while committing 75 errors, accumulating 1,187 assists and compiling 3,357 put outs.